Let me begin by saying that I love this game. I’ve been a fan of videogames for about 20 years, and as such, have played many games in those years. There have been good ones that I play over and over again and there have been bad, really bad, ones that I mercilessly skewer to this day. And then, there’s Persona 4, a game that stands out in my library unlike any other entry. (Well, except maybe Persona 3) It’s a game that impacted me so powerfully that it manages to do what other games will not. It got me to pull away from my video games. And not in a “this is so bad, I’m quitting games forever” sort of way, but in a “wow, I need to do something with this experience” kind of way. Some background- Like I said above, I’m a huge gamer. I remember coming home from school and parking myself in front of my TV and playing all afternoon and evening (Thank goodness I had a knack for schoolwork). I remember waking up at 7 on Saturday mornings to spend the whole day with what was usually an old game. Obviously, this left little time to the outside world and I lived in my own little bubble. I didn’t have any friends (a combination of my lack of social skills and an inability to fit in with the other kids) and games were my escape, a window into a world where I was the hero, loved and needed. 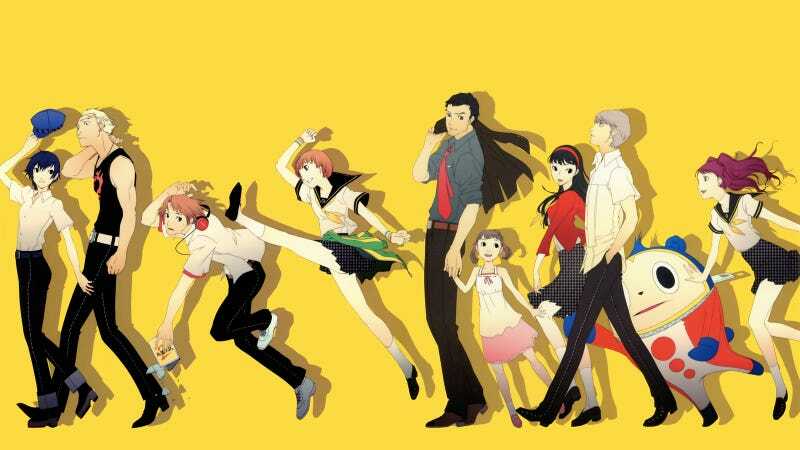 Playing a hero was my life, until Persona 4 put me in the shoes of neither a knight, superhero, nor soldier, but a civilian with a regular life (plus a secret side life, but that’s neither here nor there). There’s a lot of “game” in this game, but the aspect I resonated with was Social Links. For the uninitiated, Social Links are a series of side quests where your player character spends time with party members and NPCs, in order to build up the relationships with them to increase the strength of your character. Social Links allowed me to glimpse into a world I never experienced. Not fantasy or fiction, but a world of friends and relationships, investing time and effort into building up the people in your life. It was a world where I could laugh with them, fight with them and alongside them, shared our sufferings with each other, and cheered triumphantly as we overcame them together! I found myself caring about what these characters were going through, in a way I never had before with a real life person. Even the annoying and less savory personalities drew me in when they let their guard down and revealed who they were on the inside. I was really invested in trying to help all these people, to make sure they were all heard by someone and I could be there for them. Which probably sounds weird to a normal functioning human, but it was alien to me. And man, for the social links that I could relate to, I was completely sucked in. For example, one of my favorite social links is with, incidentally a favorite character, Yukiko Amagi. The time you spend with Yukiko is, at first, a series of sweet and humorous moments where you help her with her terrible cooking so she can learn to be more independent, but gradually her struggle with doing what she wants vs. obeying her family takes center stage. As a kid in a culture where family respect was a really big deal, I resonated with this fictional girl. In the end, she comes to the realization that she really loves her family, they love her, and that it is really easy to do anything if it’s for people you love. And you don’t have to be alone with your struggles. So she took what was the burden of her family and inheritance, and turns it into a passion for taking care of the people that matter the most to her. It’s... pretty amazing. And so are the rest of these social links, which are too many to recount here. This game had me hooked until the very end, and when I finally finished struggling and grasped the truth, the credits rolled, and I sat there in awe. It was an incredible journey, and like games, movies, or shows that really get to you, you leave it wanting more. Except in this case, what I wanted wasn’t more of the game (I mean, I definitely hit ‘New Game+’ as soon as the credits finished. That cycle is still going today.). What I wanted was the life my character lived in that year experienced in 65 hours. I wanted to experience a world with others, to laugh with others, get angry with them, and smile with them. And unlike the other fantastical games I played, this one could be a reality. The only thing stopping me was myself. I was the one that chose to shut the door on others and focus on the screen in front of me. If I were to have social links of my own, I had to change. And so, a few months later, when I set off for college, I did something crazy. I put down my game controller and walked out the door in search of something unknown to me. 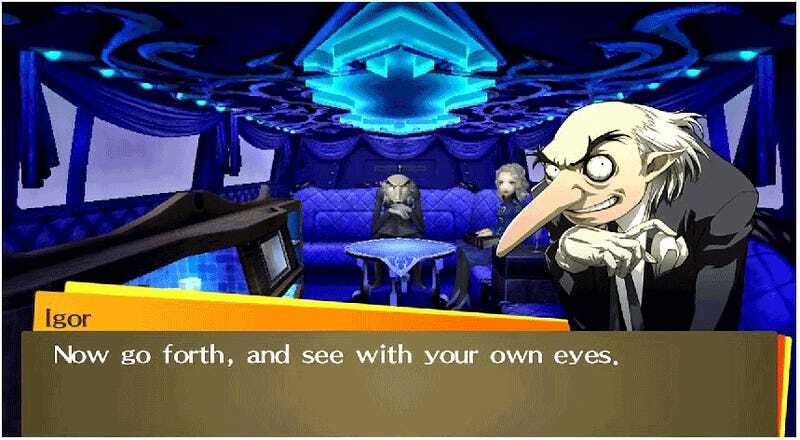 So in conclusion, Persona 4 was an incredible ride, especially for reclusive hermit like old me, and showed me a realm I had never stepped into before. It also made me think that it wouldn’t hurt to put the controller down every now. You might want to try the same and go say hi to someone you might not have seen in a while. It could be a powerful thing for you, them, and the world around you. If you’ve never played the game, give it a shot. And if you’ve never wanted to step out the door, you may want to give that a shot too. It might lead to the discovery of your true self and your own intriguing destiny!